Hello, Gorgeous! : Avery Lane $40 Gift Card Giveaway!! Avery Lane $40 Gift Card Giveaway!! Even though I lust over all things fashion, I am sometimes very slow in picking up trends. In fact, I usually start getting into them just as they are on their way out. I guess part of this is because I like to make sure that I REALLY like something before I claim it as "my style". There is one trend, however, that I may have picked up on time: elbow patch cardigans and sweaters. I LOVE them! And Avery Lane Boutique has elbow patch cardis and sweaters galore! Actually, they have tons of adorable pieces--and one lucky gal will win a $40 gift card to this fabulous boutique! Just use the Rafflecopter app below to enter. I just know you girls are gonna' ADORE their stuff! And thanks so much for the fantastic giveaway, Casey! The small print: Giveaway ends on Saturday, January 25th, and is open to U.S. residents only. Winner will be announced on Facebook and must claim prize within 48 hours. If prize is left unclaimed within this time, a new winner will be chosen. I absolutely LOVE elbow patch sweaters! I could use about 50 more! Adorable! I would LOVE to win a gift card to pep up my wardrobe! Love the Chocolate and Diamonds Necklace Set!! Also the sequinned elbow patch tunics! This would be perfect for teaching. I can dress it up, but still wear it on "casual Fridays." How old do you need to be in order to enter? Would love an elbow patch cardigan! The pearl and chain necklace set would be my purchase. I love the sequin elbows! I have two so far and can't wait to add more!! so many cute options! I really like the Aztec Tank Top and the Cozy Tee! Difficult to choose just one... but the 'Diamonds are a Girls Best Friend' Dress caught my eye! I LOVE the Elbow Patch Cardigan - Charcoal Stripe. It's a perfect layering piece for spring! Love your blog! Too many great things to pick one! It would be hard to pick just one but I'd love the chance to try. Love the cozy tee. Love the elbow patch cardigan in charcoal stripe! Beautiful stuff! I like the grey and white striped sweater! I'd get the tribal cardigan. Definitely one of the striped cardigan with the elbow patches. So cute!!! Since i am plus sized and they dont cater to my size i would love to get a pair of the Chunky Leg Warmers. Thanks! Love the Elbow Patch Sweater. Love love love the wide stripe elbow patch cardi in grey!! That elbow patch striped card is calling my name!! 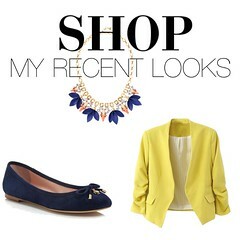 Love your blog and fashion style! I'm not on Facebook, however, so will not be entering contest. I'd probably go for a scarf and a new necklace! The elbow patch cardigan.... ADORABLE! I LOVE the elbow patch cardigan and have wanted it for a while! But I might have to get the Hello valentine dress for an upcoming cruise! OMG I LOVE the elbow patches...so oxford professor. Would love to add something like this to my wardrobe, thanks so much for hosting this contest! I would get the Navy Wide Stripe Elbow Patch Cardigan! So cute for the rest of winter and upcoming spring! Definitely the elbow patch navy stripe cardi. Love it! I love the Sequin Patch Tunic ~ Gray. I like the Be My Valentine Dress! So gorgeous. Love the elbow patch sweater! How to Make Snow Ice Cream!